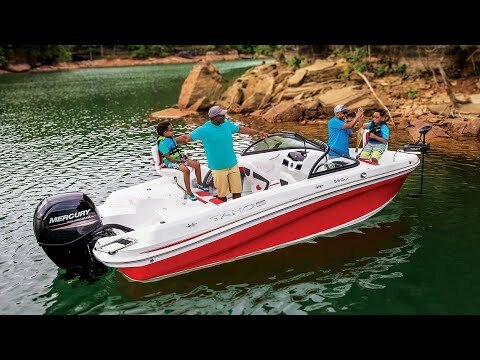 With everything from sport to comfort to fishing features, the outboard-powered TAHOE 550 TF is the perfect runabout for families looking for maximum versatility in their escape vehicle. So, set up the fishing chairs at the fore and aft locations and watch the joy on your children’s faces as they catch their first fish ever. Rev up the Mercury engine and take them for a quick cruise around the lake. Or, tie a tube onto the optional ski pylon and tow them around a bit. All in the same outing.